As we build out our national platform, we look forward to adding you to our team as a partner! Interested in joining us? Contact Don Macke. Ann Chaffin handles all marketing and communications for e2 Entrepreneurial Ecosystems, formerly the Center for Rural Entrepreneurship. 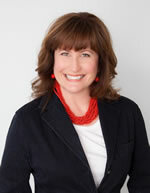 Ann has more than 25 years of communications experience in advertising, marketing, public and media relations, social media, and strategic planning. She is responsible for overseeing and branding all content for e2. She is also responsible for maintaining a solid presence online for e2. Ann holds a BS in Business Administration and a BA in Advertising, both from the University of Nebraska-Lincoln.